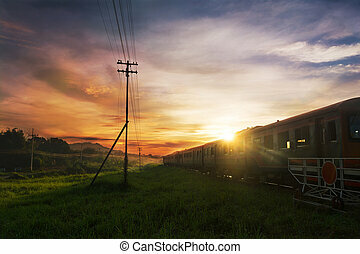 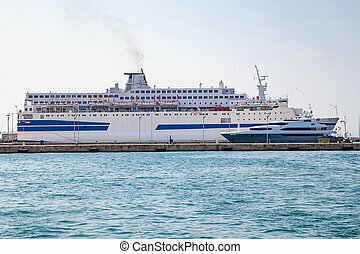 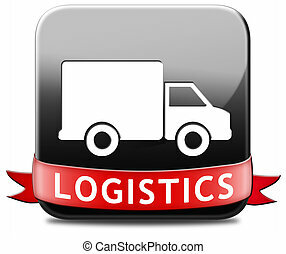 Transportation logistics. 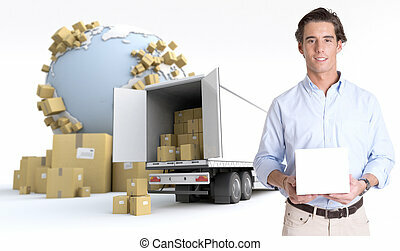 A messenger with a world map, a van, a truck and an airplane as background. 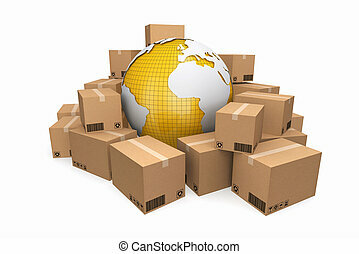 Cardboard boxes with clipping path. 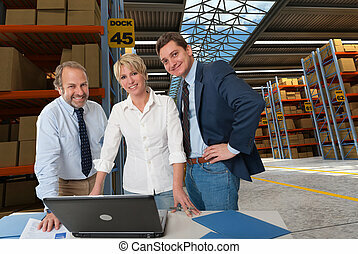 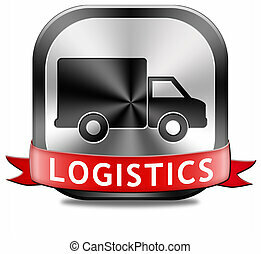 Cargo, delivery and transportation logistics storage. 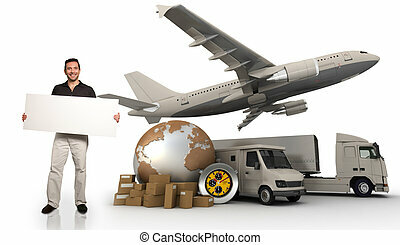 Forklift, cargo plane, goods, documents and other items in the delivery and transportation. 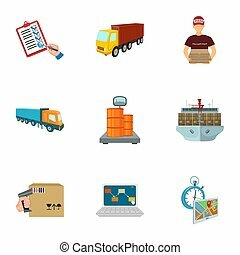 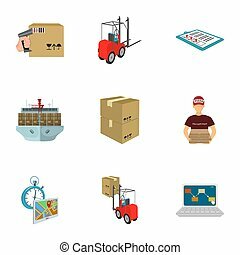 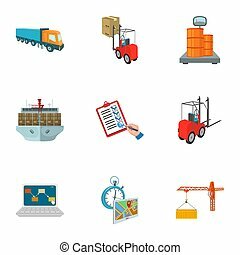 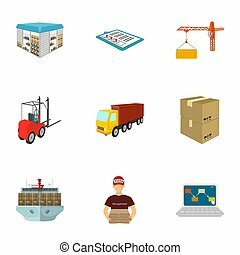 Logistics and delivery set collection icons in cartoon style isometric bitmap symbol stock illustration . 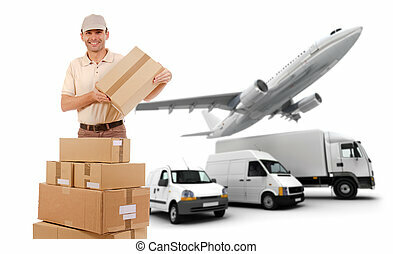 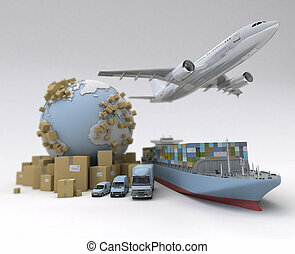 Forklift, cargo plane, goods, documents and other items in the delivery and transportation. 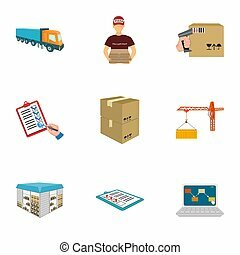 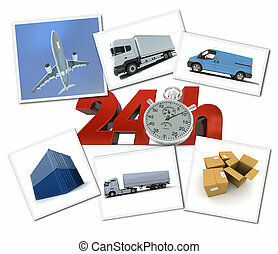 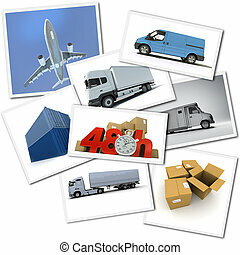 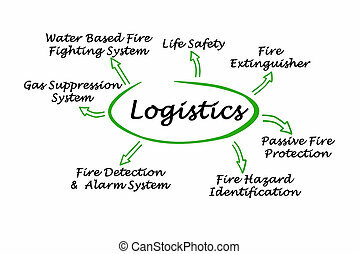 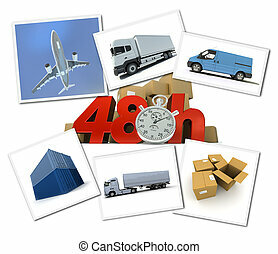 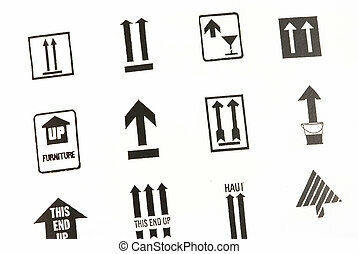 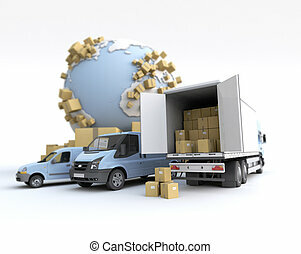 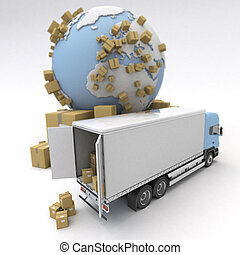 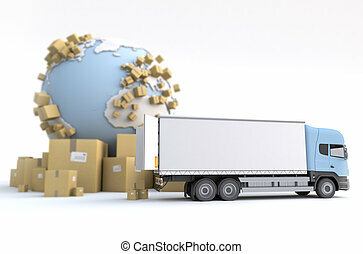 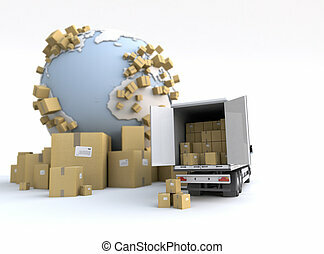 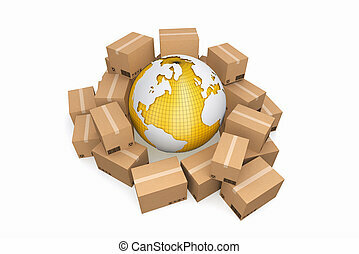 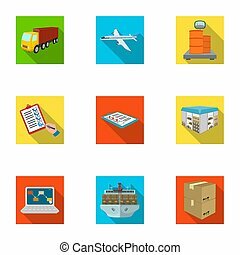 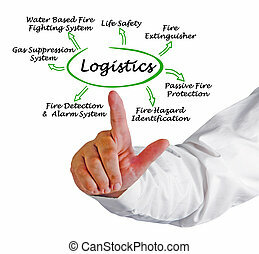 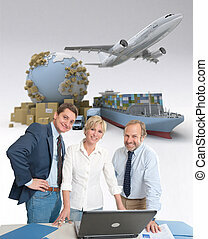 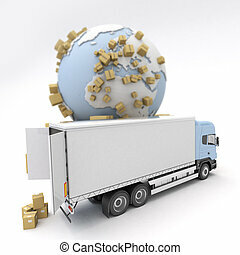 Logistics and delivery set collection icons in flat style isometric bitmap, raster symbol stock illustration . 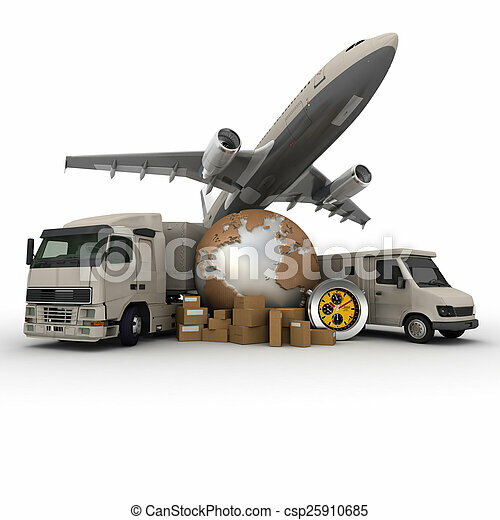 Cargo transportation image with the Earth, cardboard boxes and a whole shipping fleet including cargo ship, plane, truck, lorry, van, etc..